Dr. Ruth Cherry has just written a wonderful new book that promises to be a best seller! She writes movingly about her own healing process and shares powerful insights on the importance of self-acceptance and our oneness with Spirit. There is so much value in these pages. I especially love the meditation section in the second half of the book. Sensitively written, this book guides the reader to intimacy with their true self. This inner knowing is the beginning of wisdom, of authenticity in every area of life. Dr. Cherry writes from her honest, vulnerable journey and encourages the reader to begin their own journey towards healing and wholeness. Ruth Cherry’s approach to meditation leads cleanly in the direction of what we all want: a life of more authenticity, more peace, more aliveness. It is simple and mature guidance for greater human depth. I began reading Ruth’s book a few days ago and it is ‘the boost’ I needed while dealing with my own autoimmune disease. Thanks, Ruth! I had to make marks and underlinings in this book so that I can come back and re-read the many things that struck me so very deeply. I will be reading this book over and over. There is so much meaningful and useful information for MY own healing and growth in her words and experiences. It has lifted my vision of possibilities. I thank her for sharing her inner world. 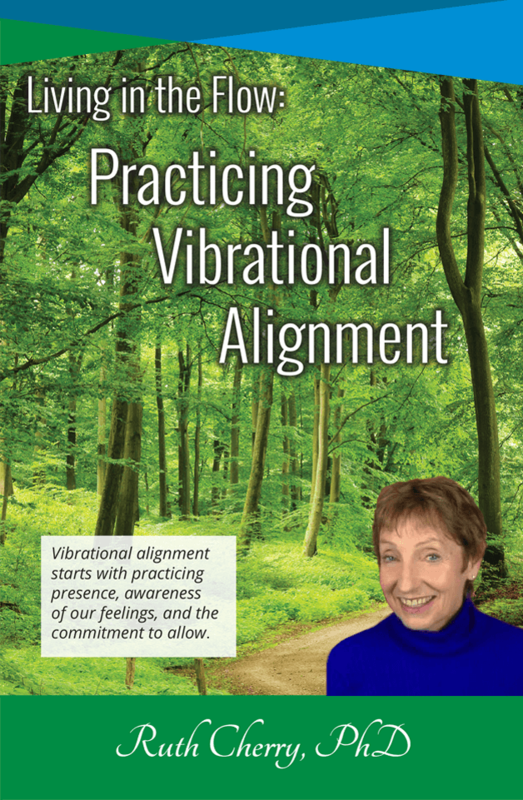 I have experienced awakening while studying Dr. Ruth Cherry’s book Living in the Flow: Practicing Vibrational Alignment. I have gone through a challenging physical situation as well as deep scars since childhood. The personal growth and peace that has come to me while reading every day has given me perspective that I needed to continue my life successfully.